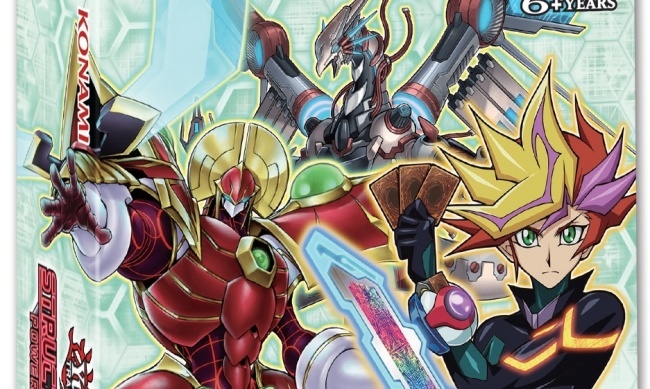 Konami will release Structure Deck: Powercode Link for the Yu-Gi-Oh! Trading Card Game on August 10. With the release of Starter Deck: Codebreaker in July (see “Powerful Link Monsters Join 'Yu-Gi-Oh! '”), and the addition of a new booster (see “'Yu-Gi-Oh! Cybernetic Horizon' Booster”), Duelists will be primed to take their Link Monsters to the next level with Structure Deck: Powercode Link. The 43-card deck includes 38 Commons, 3 Super Rares, and 2 Ultra Rares, as well as a Beginner’s Guide and a Double-sided Deluxe Game Mat/Dueling Guide. The decks are packed 8 to a display, and 12 displays per case. 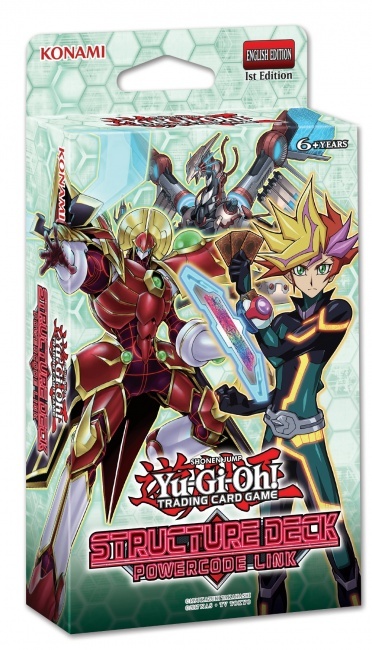 The deck features the new “Code Talker” Link Monster plus new LINK-2 and LINK-3 monsters. Transcode Talker from Starter Deck: Codebreaker can be co-linked with Powercode Talker to boost both monsters and make them untargetable by opposing card effects. A new Field Spell Card gives Duelists a chance to Special Summon a random Cyberse-Type Link Monster directly from their Extra Deck, without having to Link Summon or use any monsters.